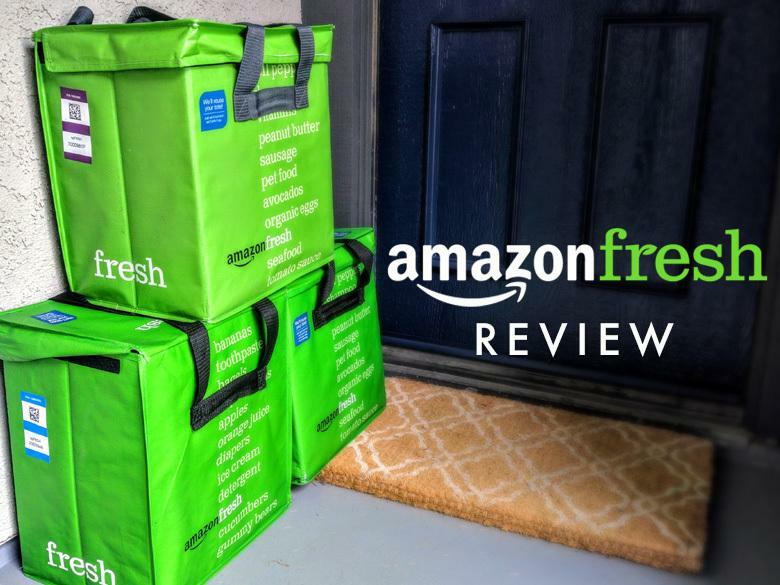 I literally get 3 hours per week of my life back due to Amazon Fresh! There is the drive to the grocery store, both ways, and the time spent in the store, not to mention loading and unloading of groceries into the car. If I spent that 3 hours per week working out rather than shopping for groceries, I could lose around 18 pounds in a year. That’s a no-brainer! My husband did not believe me when I first told him that we could save money by having our groceries delivered! How is that you ask? We all go to the grocery store with a list of items (either on paper or in our head) that we are looking to buy. Then the fancy displays and things on sale make us “impulse buy” lots of stuff we didn’t really come looking for. With Amazon Fresh I truly only buy the items we need. This results in real savings! Generally, I found the prices to be very competitive with my local grocery store. By using the Amazon app you can order your groceries from anywhere . I have literally ordered my groceries after boarding an airplane, before my flight took off. That’s super mom multitasking! Amazon even does this cool thing where it shows you your past purchases making it super easy to reorder your go-to items. I can literally grocery shop in under 10 minutes! Having so many products and prices visible in one glance helps me compare items and find brands I don’t typically see in local stores. You can choose to only view organic options which helped me to purchase healthier choices. You can pick your delivery day & time based on what works the best for you from week to week. You can have your order delivered the next day or even the same day depending on where you live. I have used this last minute ordering perk to my advantage, especially around the holidays. I can avoid the rush in the grocery stores and get my items needed for Christmas breakfast in true procrastinator fashion! You do not need to be at home when the bags are delivered. Items needing refrigeration had more than enough ice packs or dry ice to keep groceries cold for hours. I was impressed with how well my items were packed. Things like bananas or bread were never smashed. Service is top notch! One time I ordered this product and 1 in the pack of 6 was cracked. Amazon refunded my account for the total of all six so I essentially got to keep the other 5 for free. So there you have it. I was skeptical at first as this was my first foray into grocery delivery. But as you can tell, I am now a big fan! Click the banner below and you get a free month to try it out, and you even get $25 off your first order. This is what I did, and after the first bag showed up on my doorstep I was hooked!